Because I don't have any new creations to post (I know, I know I'll get back on the sewing mood soon, I can feel it coming). I figured it's a good time to post my next set of favorite things. 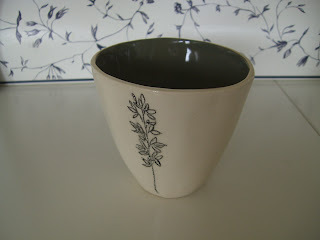 You will begin to notice that I have a fascination for (and a growing collection of) ceramics. You can always click on the image to see a larger version. 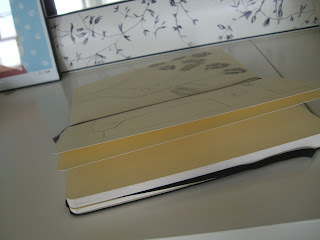 My own moleskine sketch book. I mentioned earlier that I bought one, as you can kinda see, I've been drawing on it but I'm not quite ready to show you a close up of the drawings yet. 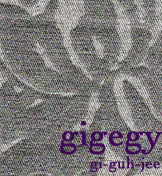 Perhaps you'll catch a glimpse of it about a post or three from now. 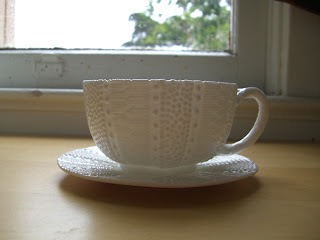 8 oz cup by Diana Fayt. I actually met her when I picked up this cup. We talked about blogging, her art, and about this post. I was a little bit star struck. It's always so cool to meet and have one on one time with someone you admire. Another addition to my tea cup collection. This one is from Anthro, of course. Edit: Look, this cup made an appearance here! 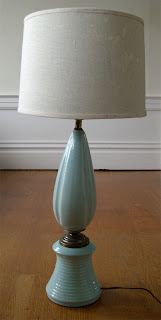 The lamp shade is from the fave store, vintage lamp base is from eBay. I'm still trying to decide if I love it. I posted it here more just to show it off :). A very awesome bowl that I bought from a flower store/vintage shop at the Lower Haight neighborhood of San Francisco. 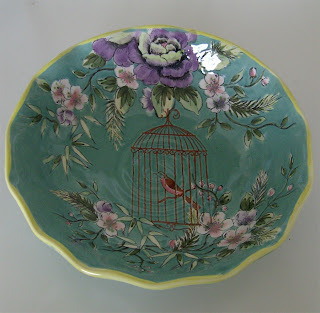 This bowl is so lovely and was very inexpensive. What a great find!